Renault's Kangoo ZE van will cost 16,300 euros in the UK after a government subsidy. LONDON -- Renault and Nissan welcomed the UK government's announcement that it will extend electric vehicle grants to 2015 and make them eligible for vans as well as cars. The Plug-In Grant will now discount the price of a van by a maximum of 8,000 pounds (9,600 euros), compared with 5,000 pounds (6,000 euros) for an eligible car. 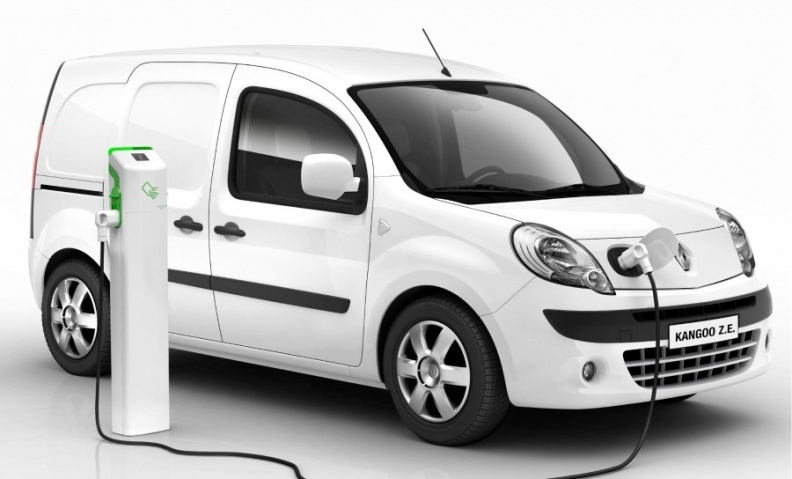 Renault said it expects its newly launched Kangoo ZE electric van to qualify for the grant. Andy Heiron, head of Renault's electric vehicle program in the UK, said: "We actively lobbied for the inclusion of commercial vehicles and we're delighted that the government made this announcement. I think we can expect to see a surge in demand." James Wright, managing director at Nissan Motor GB, said: "This grant, coupled with lower running costs and tax benefits, will make switching to an electric van a very attractive option for businesses." Nissan plans to launch an electric version of its NV200 van in 2013. Renault and Nissan are alliance partners and each has invested 2 billion euros into their combined electric car program. Automakers have until Jan. 31 to apply for electric vans to be added to the list of 10 electric and plug-in hybrid cars currently qualified to receive the grant. According to Renault, the grant would cut of the cost of a base Kangoo ZE from 16,990 pounds (20,270 euros) to 13,592 pounds (16,300 euros) excluding value-added tax. Batteries are leased separately starting at 70 pounds (84 euros) a month. Sales of battery-powered cars have been slow in the UK, according to government figures. Since the grant was launched in January 2011, just 892 applications have been made. That number is expected to rise when Vauxhall's delayed Ampera plug-in hybrid arrives in UK showrooms in May. The Ampera will start at 29,995 pounds (35,980 euros) with the grant. Renault-Nissan CEO Carlos Ghosn has committed his companies unequivocally to electric vehicles, which Ghosn has estimated will capture up to 10 percent of the worldwide car market between now and 2020. Nissan launched the Leaf electric hatchback last year while Renault started sales of electric versions of the Fluence sedan and Kangoo car-derived van and will this year launch the Zoe hatchback and Twizy two-seater. Nissan will start building the Leaf EV at its Sunderland plant in northeast England from 2013, with an initial capacity of 50,000 vehicles. The plant will also start producing batteries for the Leaf early this year.